All ages are welcome. Children under the age of 18 must have adult supervision. Must be 21+ to participate in a tasting. Please call 336 990-0708 Monday-Saturday to reserve a tour time. Or book online below! Click Book Now Button to reserve your time and make a DEPOSIT on your tour and tasting. Full payment for individuals in your party will be collected at time of your tour. 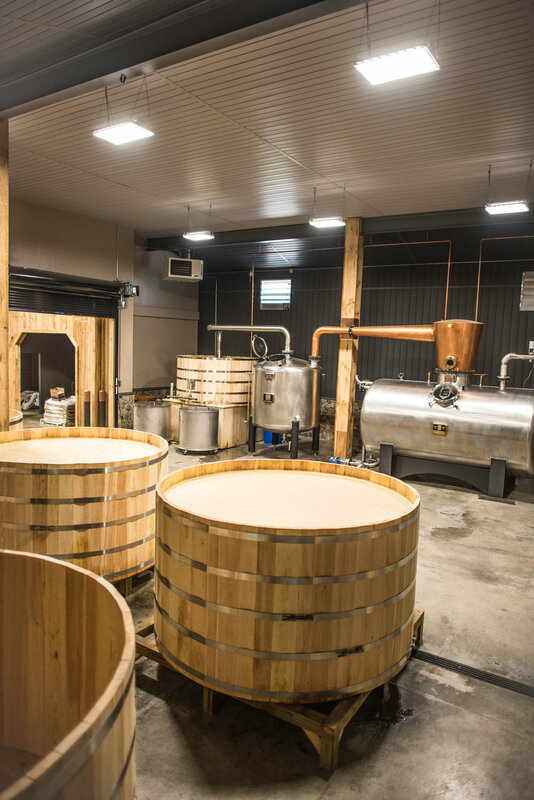 Call Family Distillers stillhouse. 1,000 gallon open fermentation barrels in the front. "The Bull" a 2,100 gallon direct steam injection still in the background. The largest in North Carolina.